I compiled this list with the help of one of my very favorite places on the internet, the Unresolved Mysteries group on Reddit. If you’re into true crime, especially missing persons cases, check it out! If you were online in the 90’s, you may have gotten a chain email letter warning you about someone with the screen name ‘Slavemaster’. If you’re like me, you didn’t pay attention to it as you were receiving a bunch of scaremongering chain emails like this every day. As it turns out, this one was real. He lured women to his home by meeting them in chatrooms (yes, his screen name was ‘Slavemaster’). Police found five women’s bodies hidden in 55-gallon drums on his land and in his storage units. He is known to be responsible for the murder of two additional women, whose bodies have not been found. He was an active killer before the internet in the 80’s, even murdering a woman so that his brother would be able to adopt her baby. Raymond Robinson was known as “Charlie No-Face”, a frightening figure of urban legend who “terrorized” western Pennsylvania at night. The truth is that he was a normal man who had been disfigured as the result of a childhood accident. He would not go out in public during the day because of the way he looked, so he restricted himself to walking at night. By all accounts he was a friendly man who was liked by his friends and neighbors. For years an urban legend circled around Greenock, Scotland that there was a rat-eating “cat man” creature who lived in the town. Locals would report seeing “glowing eyes” in the darkness or seeing mutilated rats appear. Eventually a cell phone video was actually taken of the “cat man”. Rumor was that a music major had been murdered on the stage of Trenton State College on Halloween night in the 70’s. The Halloween part may have just been good storytelling, but the murder is factual. Sigrid Stevenson was playing piano late one night in a school building alone. The next day she was found naked and murdered. She was beaten so badly that her friends could not identify her body by her face. As hard as they looked at the evidence, no one could figure out what the motive was. The high rise Chicago projects in real life were built with a similar structural flaw we see in the Candyman movie: the old medicine cabinets basically connect two apartments. This means that your neighbor can enter your apartment by moving through the medicine cabinet. This resulted in the murder of a woman, Ruthie Ann McCoy. On an April evening in 1987, she was shot to death by someone who entered her apartment through the hole in the bathroom wall for her medicine cabinet. McCoy heard the intruder or intruders coming, called 911, and told the dispatcher frantically that someone had “throwed the cabinet down” and was breaking in. Two neighbors also called police and reported hearing gunfire in McCoy’s apartment. Yet the officers who responded to her door that night left without entering, and it was not until a return visit two days later that they found McCoy, decomposing on the living room floor. 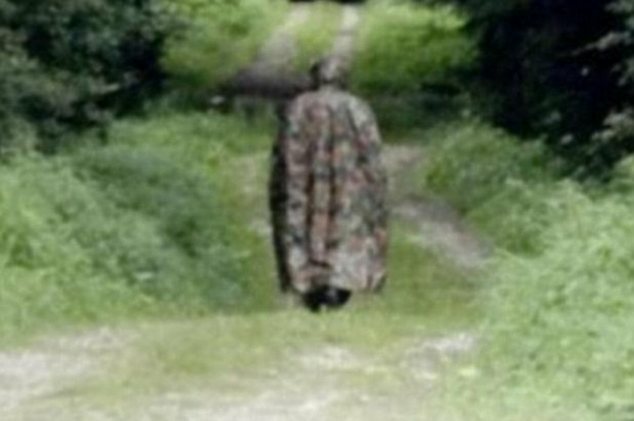 Residents in Switzerland thought the tales of a man wandering through the woods in a gas mask and camouflage were just folklore. That is, until 10 years later when a photograph finally emerged of him. Eventually he left a suicide note, explaining that he was just trying to be happy by walking through the woods in his costume and felt “attacked” by the people who feared him. It’s not just a funny catch phrase to make fun of Australians. In 1980 Azaria Chamberlain was 2 months old and vacationing with her family in the Norther Territory of Australia when she went missing. Her mother spent 3 years in prison before some of Azaria’s clothing was found near a dingo lair. Her body was never found, but medical experts agree with the theory that she was taken and eaten by a dingo. There have been stories about sewer alligators for more than a hundred years. While it’s not probably that there are adult alligators roaming around the sewer systems of major cities, some smaller ones have been found. For instance, in 2010 a 2 foot alligator was found in the New York City sewer system. Larger alligators have been found in Florida sewers, but typically after large storms when the systems are flooded. For years children on Staten Island feared a mythical boogeyman they called Cropsey. Legend says that he haunted the grounds of Willowbrook State School, an institution for children with disabilities famously shut down for the extremely negligent way the children were treated. Andre Rand was a real man who was a janitor at the school before it was shut down. Afterwards, he continued to live on the grounds where he began abducting children. He has been convicted twice for kidnapping, but investigators believe he is responsible for at least 5 murders. The documentary Cropsey was based on Rand.